Whether or not Taiwan is an independent sovereign nation is a debate topic that has been argued back and forth for over sixty years. However, our "Sovereignty Question Committee" believes that a consensus on this topic can be achieved in 2011 - 2012. The method for doing this is actually very straightforward. In reviewing the history of WWII in the Pacific in relation to Taiwan, various important facts are usually left out. The most important of these facts is simply this: All military attacks against (Japanese) Taiwan in the WWII period were conducted by US military forces. Accordingly, and with reference to the US Supreme Court decision in American Insurance Co. v. Canter (1828), and many subsequent cases dealing with laws of war issues, Taiwan was "acquired" by the United States under the principle of conquest, and will be held as a military occupation until the final determination of its political status. As such, after Taiwan was ceded by Japan in the 1952 San Francisco Peace Treaty without the designation of a "receiving country," it has remained as "occupied territory" up to the present day. This means that it has not yet reached a final political status. Not surprisingly, then, for over sixty years the US Executive Branch has maintained that the status of Taiwan is "undecided." Unfortunately, most people have little knowledge of the intricacies of a "laws of war" analysis, as given above. They maintain that Taiwan is already an independent sovereign nation, and offer the Article 1 criteria of the Montevideo Convention of 1934 as their reference. Does Taiwan really fit these criteria? Some people say yes, some say no, but this matter needs to be settled once and for all. Hence, our Committee humbly requests that all interested parties submit their full analysis of the following points to us as soon as possible. We are assembling a group of prominent legal scholars in Taiwan to review all the collected data and make a final authoritative determination. Note: in the phrasing below, the term "Taiwan Republic" is used as a general term to indicate "Republic of Taiwan," "People's Democratic Taiwan Republic," "New Taiwan Republic," "Taiwan Nation," or any similar nomenclature. Please provide an analysis of the following Four Criteria. 1. 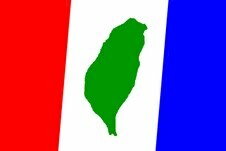 PERMANENT POPULATION: Is there a Taiwan Republic with a permanent population? If so, please outline when and by what legal means these people were naturalized as citizens of the Taiwan Republic. Also please provide a photocopy (front and back) of an official Taiwan Republic ID card, and provide full details on the issuance of these documents, relevant laws, issuing agency, etc. 2. DEFINED TERRITORY: As per the 1895 Treaty of Shimonoseki, Qing China ceded the territorial sovereignty of Taiwan to Japan. Is there a Taiwan Republic today which exercises sovereignty over Taiwan? If so, please describe the historical and legal steps which led up to this result. 3. GOVERNMENT: Is there a government which calls itself by the name of Taiwan Republic? Please provide some relevant documentation, introduction to its legislative bodies, copies of some important laws, resolutions, publications, etc. 4. CAPACITY TO CONDUCT FOREIGN RELATIONS: In the world today, is there a country which conducts its foreign relations under the name of Taiwan Republic? If so, please provide copies of relevant diplomatic documents, communiques, announcements, etc. Afterword: It is true that some persons may hold to the view that Taiwan is an independent and sovereign nation, but its name is "Republic of China." Under this circumstance, also please provide full details on the above Four Criteria, including when and via what law the native Taiwanese people were mass naturalized as ROC citizens, some discussion of the validity of such mass-naturalization procedures, when and by what legal means the territorial sovereignty of Taiwan was transferred to the ROC, the recognition of this transfer by the international community, etc. If you or your organization can assemble the above information and present it in a comprehensive and coherent manner, we are sure that it will be of great interest to many people. Ideally, you will post this information on your website, and send us the URL for our reference. Otherwise, you may submit your information to our Committee in .doc or .pdf format. Please submit all data to the following email address.